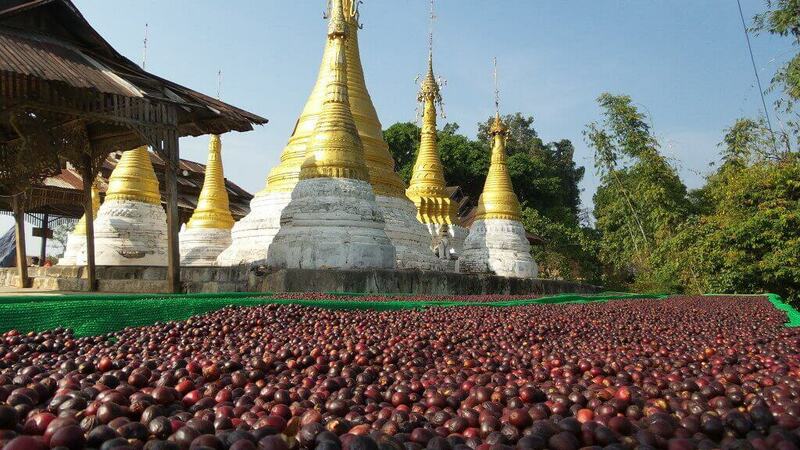 Myanmar coffee is coming to the Specialty Coffee Association of America event in Atlanta. This will be the first time that an organized producer group from the origin has visited the United States and also the first season that specialty coffee is available for export from the country. A cupping of the competition-winning lots referenced in the press statement below will be available for tasting at the Cupping Exchange room C109 on Friday, April 15, 2016 at 3:30p. Representatives from the Myanmar Coffee Association, including #1 (87 point) competition lot producer Mr. Sai Wan of Green Land Coffee will be in attendance and available for a public question and answer session. Information about the USAID Value Chains for Rural Development project and sample coffees from Myanmar will also be available at the Coffee Quality Institute stand #1814 on the exhibit floor near the U.S. Coffee Championship Arena. Contact me for additional information or to arrange for a meeting with Myanmar’s representatives. PYIN OO LWIN, MYANMAR – High marks were awarded for quality at this year’s Myanmar Coffee Association (MCA) cupping competition, with the top lot earning over 87 points on the Specialty Coffee Association of America (SCAA) scale. Last year’s winning coffee came in at 84.25. Quality rose across the board among all entrants with fifty-six (56) of sixty (60) samples exceeding the 80-point specialty cup quality threshold. When all of the cups had cooled in a final round of competition, the overall winner was a fully washed SL34 lot from Green Land Coffee estate of Pyin Oo Lwin, at 87.08 points. The winning coffee was described by judges as, “complex,” with “grapefruit, sugar cane, tomato, and dried fruit” flavors. The number two overall and top dry natural coffee from Ma Mi Nyo, a smallholder farmer in Pway Na Phar village near YwarNgan Township in Southern Shan State earned 86.75 for their “clean and balanced,” coffee with flavors of “pineapple, cherry and apricot.” The total lot size of each is 5 tons and 200kg, respectively. This event was part of the USAID-funded Value Chains for Rural Development project implemented by Winrock International and organized by the Myanmar Coffee Association (MCA) and Coffee Quality Institute (CQI). It was hosted at the Mandalay Coffee Group cupping laboratory in Pyin Oo Lwin, Mandalay, March 12-16. Three international judges and two local observers assessed the coffee. The international team included SCAA Board Member Andrew Hetzel, Momentum Coffee founder and SCAA Roasters Guild Executive Council President Allen Leibowitz and Sustainable Harvest Relationship Manager Dane Loraas. All coffees were collected for the competition from a diverse cross section of smallholder farmers and coffee estates, which were evaluated using SCAA protocols for green physical and roasted sensory evaluation. The samples were double-blind coded and separated by processing method, of which thirty (30) were fully washed and thirty (30) dry natural processed. The top ten (10) coffees from a preliminary round of cupping advanced to the finals, roasted and cupped a second time to establish a ranking order. Top-scoring samples from the competition and others participating in the project will be on-hand to taste at the SCAA Event in Atlanta, cupping exchange room C109 on Friday, April 15th beginning at 3:30 until 5:00pm.